We have A perfume concentrate mix done today, starring Jasmine Sambac Absolute, Rose Absolute, Rose Spagyric Tincture, Lavender Spagyric Essence, Sandalwood, and some other mystery ingredients, ranging from tobacco absolute, to frankinscense, myyrh, incense wood, black pepper and and and. Currently it is a smacking jasmine but dark and feral with her indole characters still shining through, this is still a concentrate and will be diluted for the finished perfume. But following that the indole sharpness recedes leaving an ambery, honey, vanilla, powdery background, with a sweet jasmine blossoming endlessly into its finish. The Spagyric Rose Tincture and Spagyric Lavender Essence are alchemically prepared. These make these not just any simple type of perfume, but they work on your spiritual and etheric bodies and aura on a deep level attuning you to their mystery. This one will need to age for a month at least for all the ingredients to mingle and find an equilibrium. The scent will change over the course of this time and form a unity that evolves shifts and changes as a whole as it lingers on the skin. 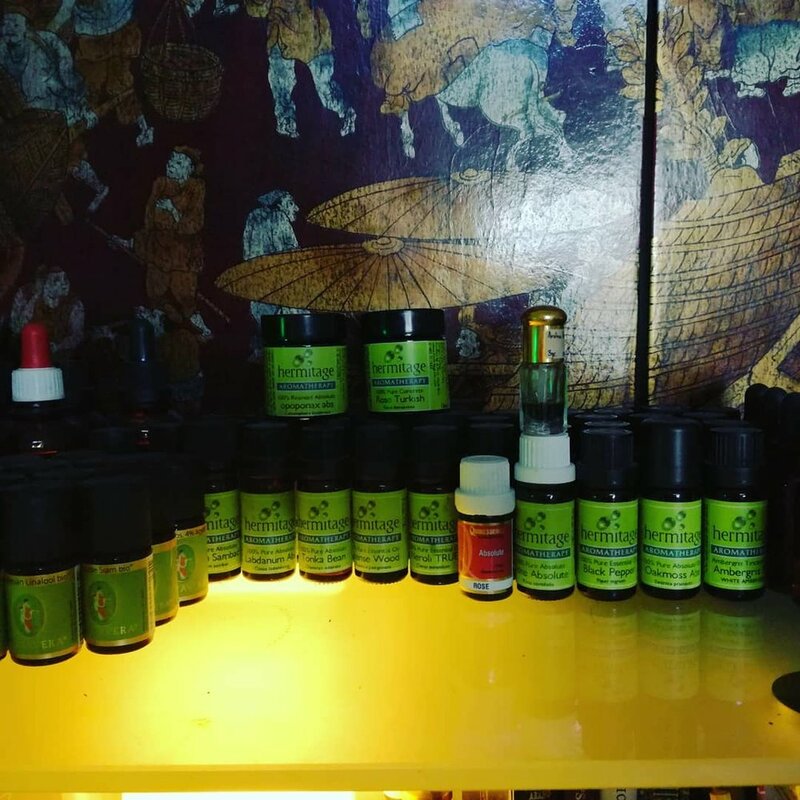 Unpacked my perfumery essential oils and absolutes collection, feel inspired to work on some fragrances, have a couple of mixes that have been aging for over a year will use some of those as base or foundation. In this First Picture you can see my essential oils and absolutes, concretes, waxes and resins. Jasmine, Rose, Ylang-Ylang, Patchouli, to Tobacco, Black Pepper, Vanilla, Incense Wood, and Sandalwood and and and and. 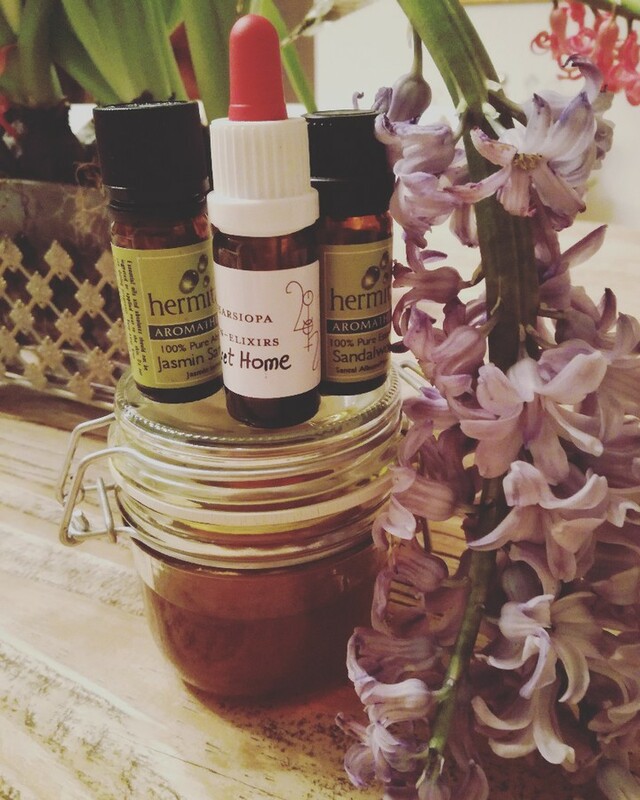 This is a mix of tinctures, lavender tincture with frankincense, myrrh, curcuma, black pepper tincture, rose flower&hips spagyric tincture and ladies mantle spagyric essence. Will be using this as a base or foundation material for another perfume.